Sorry, I have been a little MIA this week. I have been busy baking goodies to give away as Christmas pressies and organizing things for my trip to Canada. I am going home for the holidays and have organized many exciting CUPCAKE activities while I am there. Cupcake activities, you ask? I am excited to say that I have booked some lessons with some of the best cake designers in Canada! First stop: private lessons with Lori Hutchinson a.k.a. The Caketress. Next stop: Pickering, Ontario, to learn all about peonies, roses and orchids from Lisa Bugeja of Flour Confections and the last and final stop: Toronto, for a cupcake tour! I can’t wait to sample the works of fine Canadian bakeries all over T.O. Now I just have to plan a route! So look out for lots of my new sugarwork creations and cupcake gorging! This week I tried a new chocolate cupcake recipe. In endeavouring to continue to extend my cupcake knowledge and trying to perfect my recipes, I went back to some good old fashioned cupcake testing. 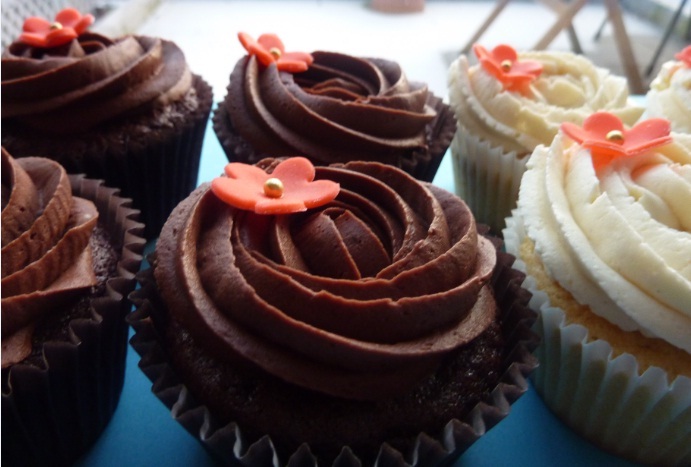 I trialed a new chocolate cupcake recipe, this week, alongside two new frostings, vanilla and chocolate. This recipe comes from the very talented Chloe Coscarelli who competed on Cupcakes Wars (tv series in America where bakers/chefs compete to bake the best cupcake) and won with her vegan chocolate cupcake recipe. I have already written about the trend towards healthier cupcakes and so I decided to give cupcakes, ohne (without) eggs and dairy milk a whirl! I have to say that they were awesome. 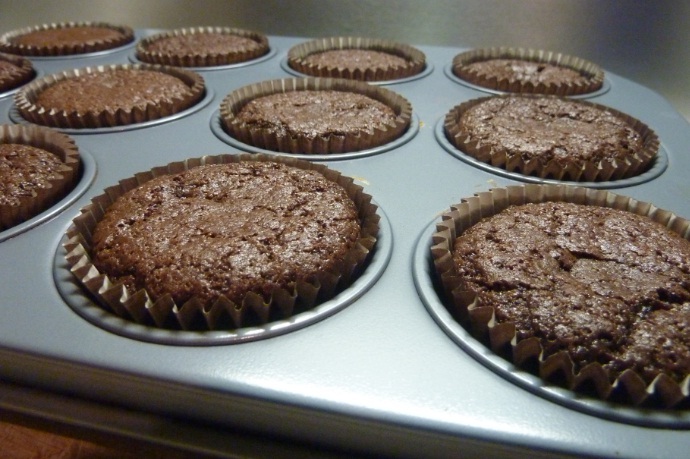 They had the depth of a great chocolate recipe, the fluffiness of a true cupcake and a nice bonus of crunchy cupcake tops (but very moist and soft centres) which I rather enjoy and which are perfectly flat for decorating! Cupcake Wars winning recipe in my kitchen. Even as I eat these guys today (over 24 hours later) they are still wonderfully moist and full of flavour. Gotta love that in a recipe! So I would absolutely recommend this vegan cupcake recipe. No need to be scared of baking without the dairy products you are used to. Look mom, no eggs! Now onto the new frostings. Both with a flour and milk base and so in complete contrast to my non-dairy chocolate cupcakes. After you create a pudding-like mixture from flour and milk, you cool it and once it’s cooled you mix it with butter. The great part about this frosting recipe is that there is no powdered sugar (only gradulated sugar that gets melted) in it so you don’t get that granuley bite in the frosting. The frosting is smooth and silky and not overly sweet from powdered sugar. It has all the benefits of a swiss meringue buttercream but without the complications that come with egg whites which is pretty nice. I found that the chocolate frosting was much smoother and easier to pipe. I loved the deep flavour it had from using cocoa powder. The chocolate frosting is real a winner in my books as it also stands up well all day long. No sinking; the swirls remain intact. The vanilla frosting on the other hand, had a lot of bubbles and it was hard to pipe. It came out in fits and stops and so my swirls turned out pretty ugly. Oh well. I put little red flowers on and am hoping no one will notice. 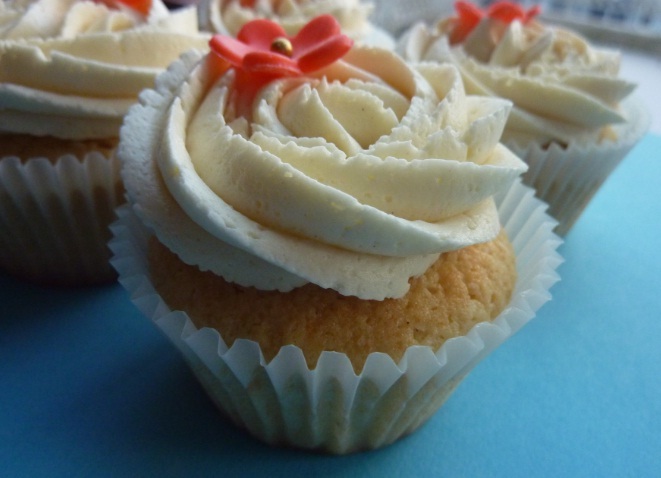 The frosting itself, is very delicious and also not too sweet. The first time I made this vanilla frosting last week, it turned out beautifully smooth and it was easy to pipe. The main difference between last week and this week was that I worked with it the same day, whereas with this one I waited until the morning so maybe that was the issue. If it was,then it definitely loses points for that. The thing I am finding out about baking is that consistency is so important. Not only literally in terms of the frosting piping consistency itself, but consistency in re-creating time and time again the same beautiful frosting. It’s a real trick of the trade and the mark of a true professional in their trade when they had get those consistent results. I am not there yet but am hoping that with enough experimentation, practise and patience, I will make it. Make it in Frankfurt, baby. Stay tuned for the cupcake tester responses! Eek! 5-page questionnaires are back! 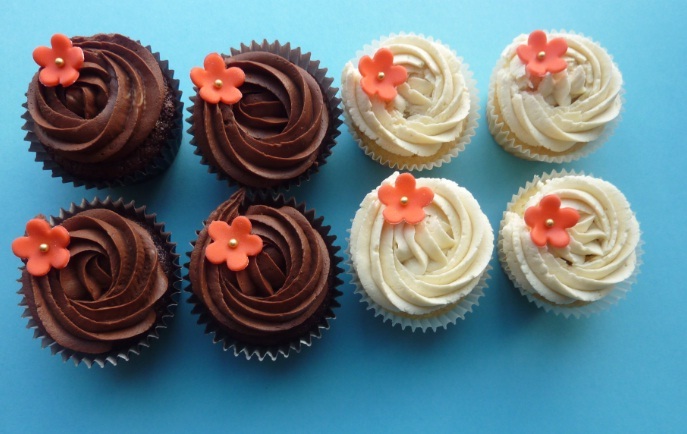 I’m moving to Germany in February 2011 and am looking to continue my love for cupcakes in Europe… stumbled across your blog and am super excited to have found you! I’ve been thinking about vegan cupcakes for a while now as one of Mr. WWW’s nephew’s got severe allergies to dairy and nuts. I also watched cupcake wars when chloe won, she was amazing! Lovely cupcakes! These are the cutest cupcakes I ever saw. I am not so sure that I can perfectly do the same designed like that since I am not good in cupcake designing. LOL. But thanks for the recipe.